In the previous post we have seen linear and non linear systems. Here we will see how to determine whether the system is stable or unstable i.e. stability property. To define stability of a system we will use the term ‘BIBO’. It stands for Bounded Input Bounded Output. The meaning of word ‘bounded’ is some finite value. So bounded input means input signal is having some finite value. i.e. input signal is not infinite. Similarly bounded output means, the output signal attains some finite value i.e. the output is not reaching to infinite level. An infinite system is BIBO stable if and only if every bounded input produces bounded output. An initially system is said to be unstable if bounded input produces unbounded (infinite) output. Unstable system shows erratic and extreme behavior. When unstable system is practically implemented then it causes overflow. Determine whether the following discrete time functions are stable or not. Solution: we have to check the stability of the system by applying bounded input. That means the value of x(-n) should be finite. So when input is bounded output will be bounded. Thus the given function is Stable system. Hi friends, today we will learn What is Causal and non-causal system?. These two are very important system in control systems. These systems are distinguished from their input output relationship. Let us see these systems one by one. Definition: A system is said to be causal system if its output depends on present and past inputs only and not on future inputs. Since causal system does not include future input samples; such system is practically realizable. That mean such system can be implemented practically. Generally all real time systems are causal systems; because in real time applications only present and past samples are present. Since future samples are not present; causal system is memory less system. Definition: A system whose present response depends on future values of the inputs is called as a non-causal system. Since non-causal system contains future samples; a non-causal system is practically not realizable. That means in practical cases it is not possible to implement a non-causal system. But if the signals are stored in the memory and at a later time they are used by a system then such signals are treated as advanced or future signal. Because such signals are already present, before the system has started its operation. In such cases it is possible to implement a non-causal system. A C.T. system is said to be “causal” if it produces a response y(t) only after the application of excitation x(t). That means for a causal system the response does not begin before the application of the input x(t). A system is said to be “causal” if its output depends on present and past values of the input and not on the future inputs. If the input is applied at t = tm then the output at t = tm y(tm) will be dependent only on the values of x(t) for t = tm. Causal systems are physically realizable systems. The non-causal systems do not satisfy above condition. Non-causal systems are not physically realizable. 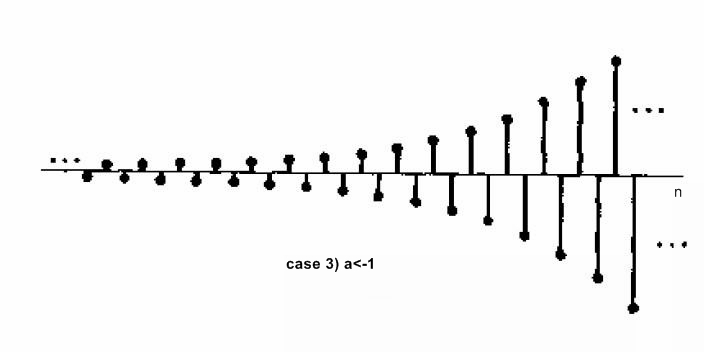 This condition states that a linear time invariant (LTI) system is “causal” if its impulse response h(t) has a zero value for negative values of time. Determine if the systems described by the following equations are causal or non-causal. Solution: the given system is causal because its output (y(n)) depends only on the present x(n) and past x(n-3) inputs. A system is said to be Time Invariant if its input output characteristics do not change with time. Otherwise it is said to be Time Variant system. As already mentioned time invariant systems are those systems whose input output characteristics do not change with time shifting. Let us consider x(n) be the input to the system which produces output y(n) as shown in figure below. Now delay input by k samples, it means our new input will become x(n-k). Now apply this delayed input x(n-k) to the same system as shown in figure below. Now if the output of this system also delayed by k samples (i.e. if output is equal to y(n-k)) then this system is said to be Time invariant (or shift invariant) system. If we observe carefully, x(n) is the initial input to the system which gives output y(n), if we delayed input by k samples output is also delayed by same (k) samples. Thus we can say that input output characteristics of the system do not change with time. Hence it is Time invariant system. Now let us discuss about How to determine that the given system is Time invariant or not? Step 1: Delay the input x(n) by k samples i.e. x(n-k). Denote the corresponding output by y(n,k). Step 2: In the given equation of system y(n) replace ‘n’ by ‘n-k’ throughout. Thus the output is y(n-k). Step 3: If y(n,k) = y(n-k) then the system is time invariant (TIV) and if y(n,k) ? y(n-k) then system is time variant (TV). Same steps are applicable for the continuous time systems. 1) Determine whether the following system is time invariant or not. Step 2: Replace ‘n’ by ‘n-k’ throughout the given equation. Step 3: Compare above two equations. Here y(n,k) = y(n-k). Thus the system is Time Invariant. 2) Determine whether the following systems are time invariant or not? Step 3: Compare above two equations. Here y(n,k) ? y(n-k). Thus the system is Time Variant. In the last article we have discussed about introduction to the systems and its properties or classification. Let us study these Properties one by one. Definition: It is a system in which output at any instant of time depends on input sample at the same time. In this example 9 is constant which multiplies input x(n). But output at nth instant that means y(n) depends on the input at the same (nth) time instant x(n). So this is static system. Here also output at nth instant, y(n) depends on the input at nth instant. So this is static system. Why static systems are memory less systems? Observe the input output relations of static system. Output does not depend on delayed [x(n-k)] or advanced [x(n+k)] input signals. It only depends on present input (nth) input signal. If output depends upon delayed input signals then such signals should be stored in memory to calculate the output at nth instant. This is not required in static systems. Thus for static systems, memory is not required. Therefore static systems are memory less systems. Definition: It is a system in which output at any instant of time depends on input sample at the same time as well as at other times. 1) x(n-k); that means delayed input signal is called as past signal. 2) x(n+k); that means advanced input signal is called as future signal. Thus in dynamic systems, output depends on present input as well as past or future inputs. Here output at nth instant depends on input at nth instant, x(n) as well as (n-2)th instant x(n-2) is previous sample. So the system is dynamic. Here x(n+7) indicates advanced version of input sample that means it is future sample therefore this is dynamic system. Why dynamic system has a memory? Observe input output relations of dynamic system. Since output depends on past or future input sample; we need a memory to store such samples. Thus dynamic system has a memory. A continuous time system is static or memoryless if its output depends upon the present input only. 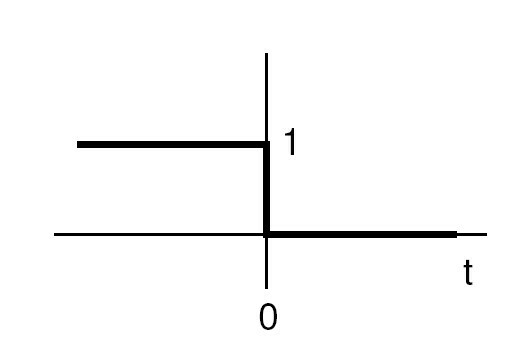 Voltage drop across a resistor. Here the voltage drop depends on the value of the current at that instant. So it is static system. On the other hand a CT system is dynamic if output depends on present as well as past values. A system is a physical device (or an algorithm) which performs required operation on a discrete time signal. 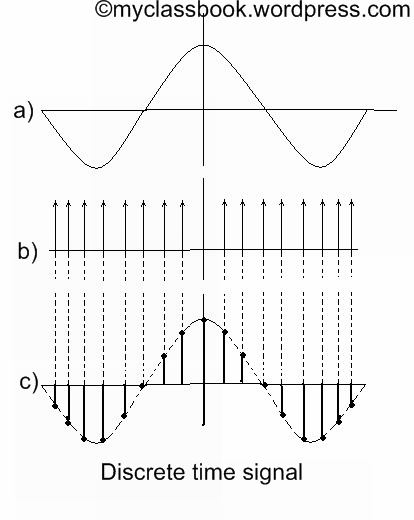 A discrete time signal is represented as shown in figure below. Here x(n) input discrete time signal applied to the system. It is also called as excitation. The system operates on discrete time signal. This is called as procession of input signal, x(n). Output of the system is denoted by y(n). It is also called as response of the system. A filter is good example of a system. A signal containing noise is applied to the input of the filter. This is an input signal to the system. The filter cancels or attenuates noise signal. This is the processing of the signal. A noise-free signal obtained at the output of the filter is called as response of the system. We will see these different types (i.e. properties) of a system in upcoming posts. So stay connected. These operations include sum, product, difference, even, odd, etc. Consider two signals x1(t) and x2(t). 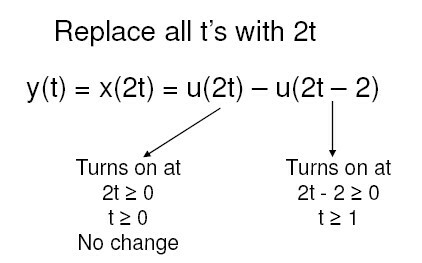 Then addition of these signals is denoted by y(t)=x1(t)+x2(t). similarly subtraction is given by y(t)=x1(t)-x2(t). • x2(t) = –u(t-2) ……. 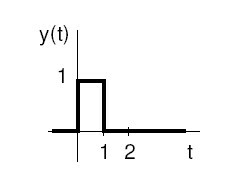 Delayed step signal by 2 units and multiplied by -1. 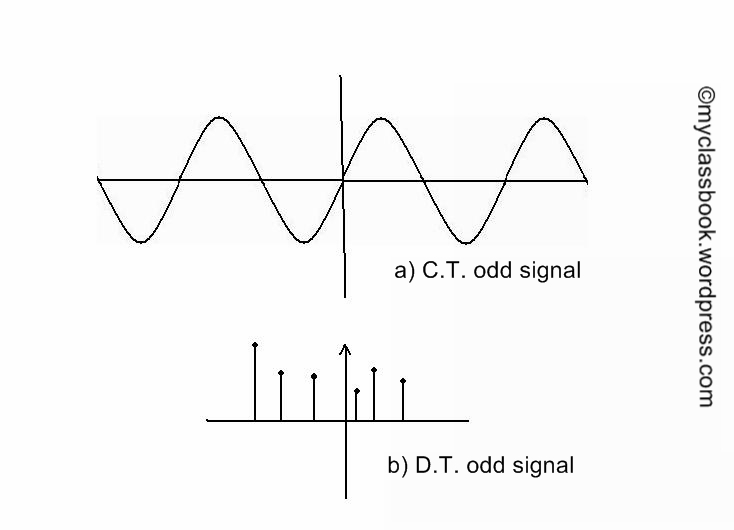 A signal x(t) is said to be ‘shifted in time’ if we replace t by (t-T). 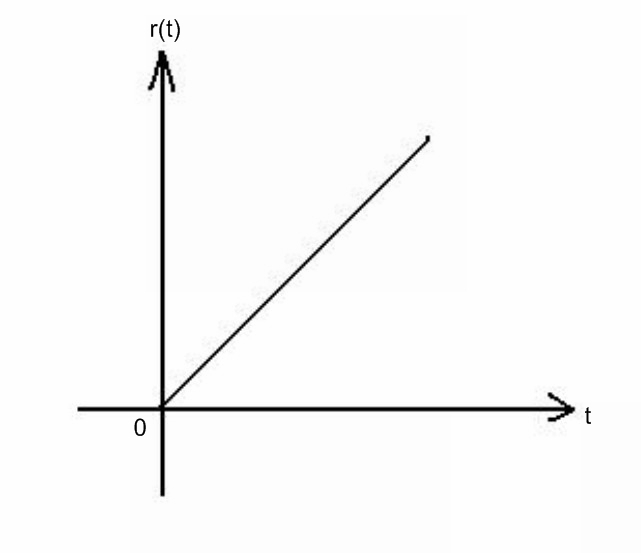 thus x(t-T) represents the time shifted version of x(t) and the amount of time shift is ‘T’ sec. if T is positive then the shift is to right (delay) and if T is negative then the shift is to the left (advance). 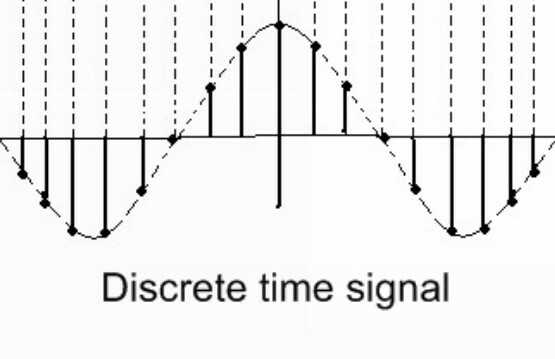 The compression or expression of a signal in time is known as the time scaling. 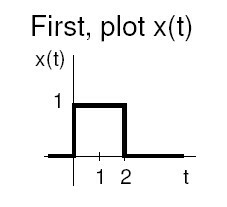 If x(t is the original signal then x(at) represents its time scaled version. Where a is constant. If a> 1 then x(at) will be a compressed version of x(t) and if a< 1 then it will be a expanded version of x(t). Flips the signal about the y axis. y(t) = x(-t) . 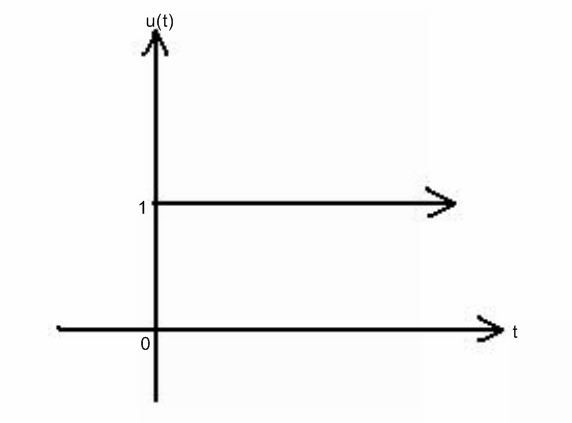 Example: Let x(t) = u(t), and perform time reversal. A discrete time unit impulse function is denoted by d(n). 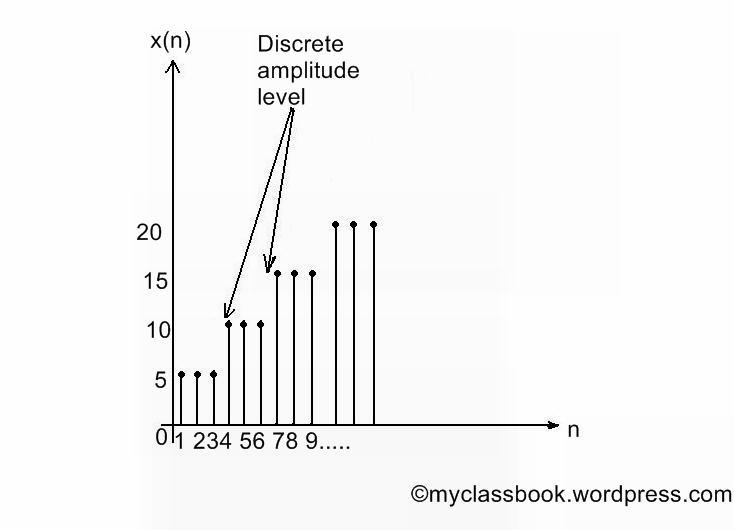 Its amplitude is 1 at n=0 and for all other values of n; its amplitude is zero. Unit step signal means the signal has unit amplitude for positive axis and has zero amplitude for negative axis. 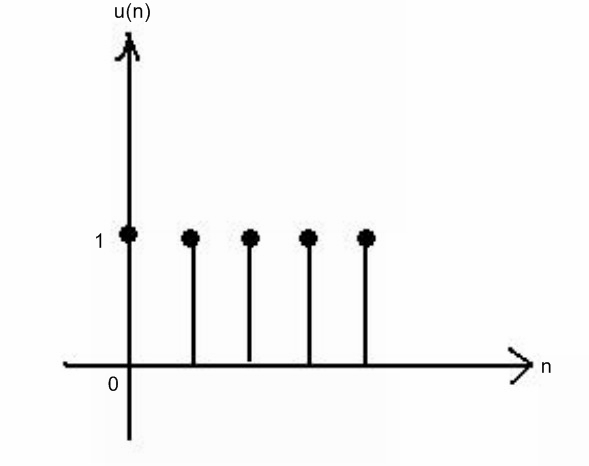 A discrete time unit step signal is denoted by u(n). 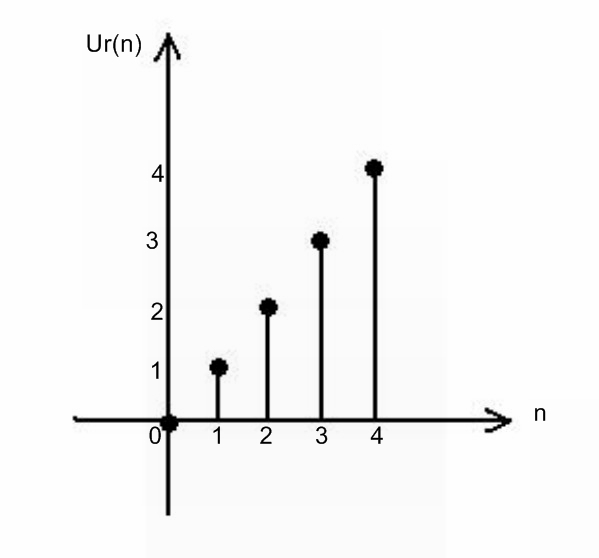 its value is unity (1) for all positive values of n. that means its value is one for n = 0. While for other values of n, its value is zero. From above equation, it is clear that the value of signal at a particular interval is equal to the number of interval at that instant. 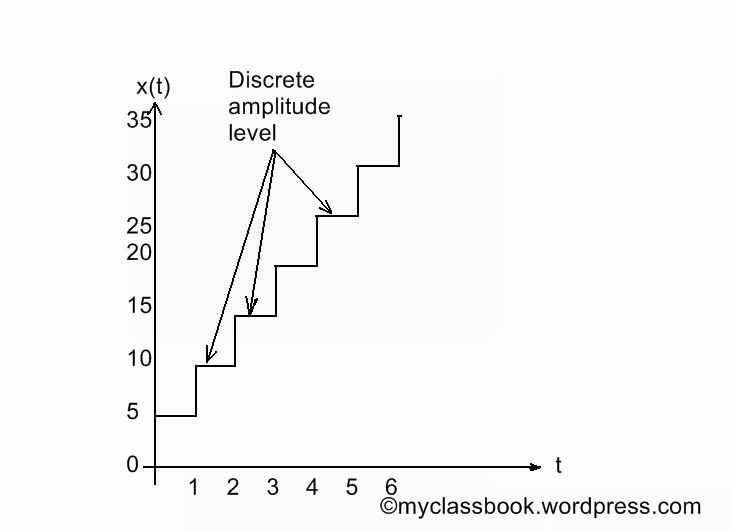 for example; for first interval signal has amplitude 1, for second it has amplitude 2, for third it is 3, and so on. From above equation, it is clear that the value of signal at a particular time is equal to the time at that instant. 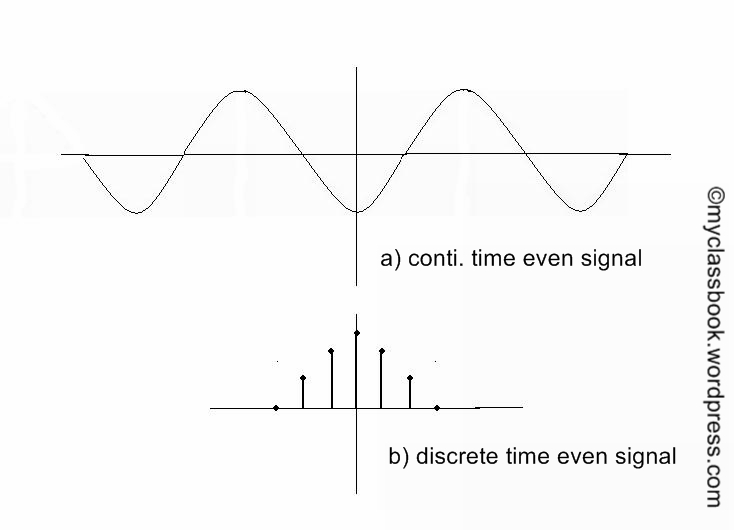 for example; for one second signal has amplitude 1, for two second it has amplitude 2, for third it is 3, and so on. In mathematics, the exponential function is the function ex, where e is the number (approximately 2.718281828) such that the function ex is its own derivative. Here ‘a’ is some real constant. Since the signal is exponentially growing; it is called rising exponential signal. 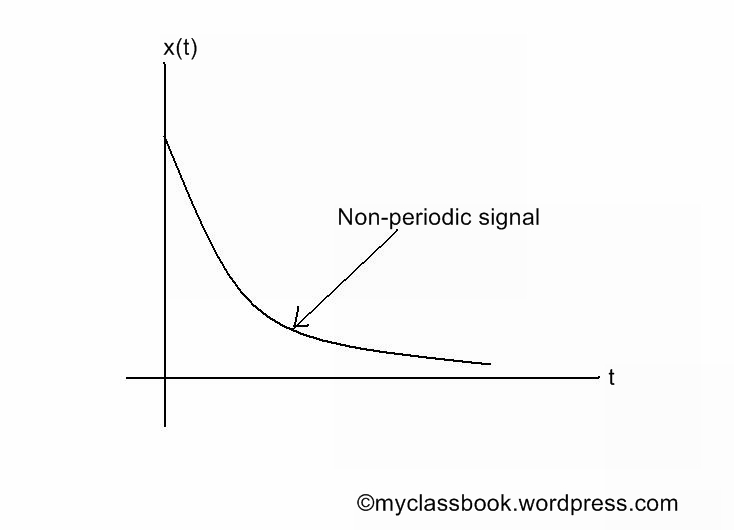 Since the signal is exponentially decreases; it is called decaying exponential signal. 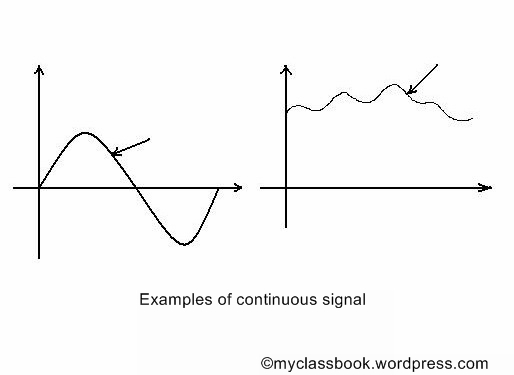 As shown in figure above, both signals are growing hence it is called as double sided growing exponential signal. As shown in figure above, both signals are decreases hence it is called as double sided decaying exponential signal. 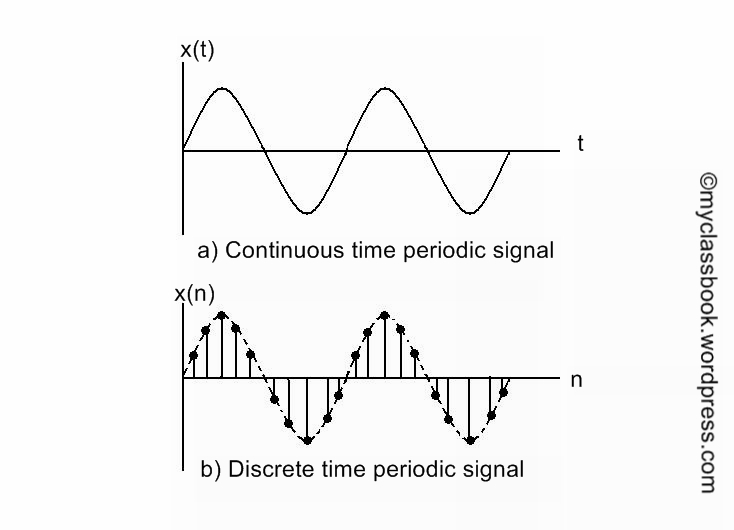 If we talk about continuous time exponential signals; everything is same as that of discrete time signals except it has continuous amplitude. 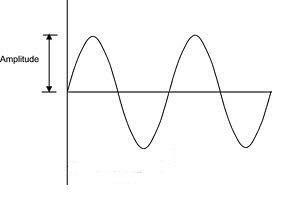 A sinusoidal signal has the same shape as the graph of the sine function used in trigonometry. Sinusoidal signals are produced by rotating electrical machines such as dynamos and power station turbines and electrical energy is transmitted to the consumer in this form. In electronics, sine waves are among the most useful of all signals in testing circuits and analyzing system performance. 2) Continuous time sinusoidal waveforms. Signals typically represent physical variables such as displacement, velocity, pressure, energy. In most cases, we are concerned with variables that are time-dependent. The discrete-time or digital time index is generally specified by tn = n T, where n is an integer and T is the sampling interval or period. 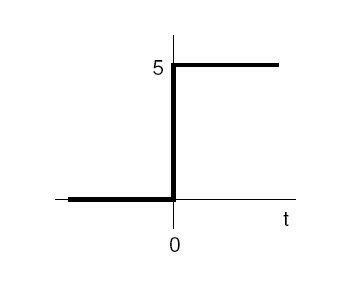 It is common to drop the explicit reference to T (or assume T = 1) and index discrete-time signals by the letter n.